© Benjamin Ginsberg. All rights reserved. 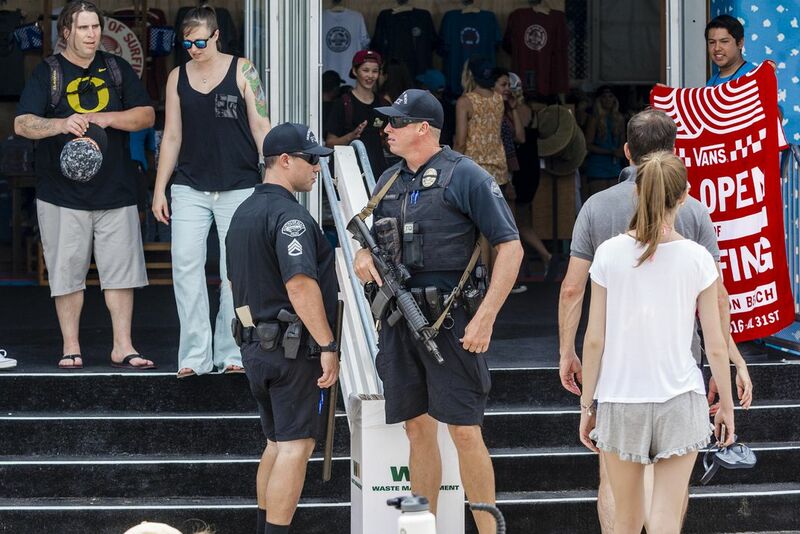 After terror attacks abroad, at home, and nearby in San Bernadino, California local police step up their security patrols and visual appearance at the US Open of Surfing in Huntington Beach, CA, an event that regularly draws upwards of 300,000 spectators. Date Uploaded: Nov. 30, 2016, 9:55 p.m.